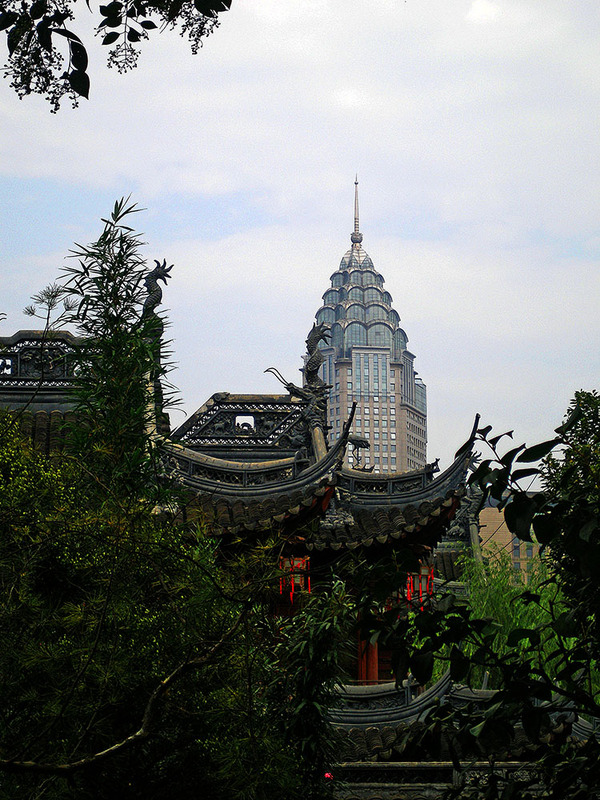 The ICBC building* rising in stark contrast against the traditional roof tops of Yu Yuan Garden in Shanghai’s old city seems perfect for this challenge! Check out all the other great entries here! Some really good interpretations below! the battle of the architectures! Thanks Kate! Liked your interpretation too! Wow! Brilliant contrast of the old & new. Great shot! Thank you! Thought the striking contrast in your entry was perfect as well! Shanghai – I would love to see that place. Such an interesting place, both historically and gastronomically! I like this Madhu. This is very good example of contrast. The regular little crashes between old and new we see in cities around the world. Thanks for sharing. Yes Orples! I mistakenly tagged it Jin Mao Tower but it is actually the much smaller ICBC building! Thanks for stopping by! Oops I believe it isnt!! It is actually the ICBC building in Puxi closer to the Yu Yuan garden than the Jin Mao Tower which is in Pudong across the river! Good catch Mimo! Apologies for the mix up! Editing my post right away. two worlds, side by side. thanks for sharing this fascinating contrast. YES IT IS a perfect contrast. Interestingly I just posted two shots from the inside of that very tower (for weekly photo challenge down … of course a bit late). Wow! That is “Down” ! Probably the best entry for that challenge even if it is late! My shots of the tower would only qualify for “UP” though 🙂 We did not climb up to the top! That was a great experience. I grumbled a bit because the 3 people I was with were in a hurry to move along and I wanted to linger and take in the view. But I’m thankful for the brief time I had there. Oh this is so lovely, Madhu! Perfect interpretation for Contrast! So glad you think so Judy! I do too! Thanks for dropping by! Quite a contrast.. great shot. Thank you Savira! Loved your colourful Holi pics! The old in contrast with the new, perfect for this week! This photo is lovely. Good contract. I just recently found your blog. Love what I have seen so far. I too share your love of travel. I moved back to the States a couple of years ago, and I stopped traveling as much as I did in the past. Your photos are motivating me to start my travels again. I look forward to checking out more of your site. Glad you think so Jake! Yeah, I know! I do too! Lovely! Nice take on the contrast theme. Great shot of contrast! It certainly is a contrast between those two differing styles of structure… old school and then new school highrise. Thank you for stopping by my blog. Thanks Mezza! Appreciate your dropping by! Shanghai is a city of contrasts! Wonderful mix of the old and the new – I wish we had that sort of hisotry here in the states.